Home › The Power of FREE! Authors note: I spent 12 years writing, editing, and preparing One Blood for the world. I have invested over $10,000 to date in my own success, not to mention the countless hours I spend promoting myself and the book. And for all that work, I can barely justify a $3.99 price point for a book that Kirkus Reviews called a novel of remarkable merit. Not complaining, just introducing you to my reality and the reality of thousands of indie authors entering this new realm of epublishing and pricing. Tell me, what has the world come to when you can buy a book for the same price as a Taco Bell burrito? Welcome authors to the wonderawful world of ebook pricing. I can recall debating the .99 cent price point with my publishing business partner James W. Lewis, author of Sellout and A Hard Man is Good to Find fame, back in 2011, about 8 months after we had published SELLOUT. The book had moved around 700 units by this point but we had not successfully migrated from print books to ebooks which was one of our key strategic imperatives due to the cost and gross margin benefits of selling ebooks vs. printing and fulfilling print books. My perspective was that selling an ebook for .99 cents for a debut author made sense because the objective for any first time author should be to build an audience that can be leveraged for future books. James wasn’t convinced, but we agreed to conduct the experiment. We flipped the .99 cent switch in February 2011 and waited to see what would happen. In February, Sellout sold 38 ebooks. March: 96. April: 577. May: 971!! Cause for massive celebration, yes? Wait, not so fast, amigos. The catch with the .99 cent price point is that Amazon takes 65% of each sale which means that the publishing company makes 35 cents and the author makes 9 cents per book (we pay a 25% royalty). So you have to sell a crapload of books at .99 cents to make any money. But that’s beside the point. James was building an audience. Nearly 6,000 reader discovered him in 2011 compared with 400 in 2010 – a 15X increase in 12 months. We raised the price of SELLOUT to $2.99 in October and watched sales regress back to around 50 copies a month. Whenever we flipped the price switch down to .99, there was a corresponding boost in sales. So there is definitely something about that magic .99 cent pricepoint as far as kindle book readers go. In July 2014 the publishing world was abuzz with the news of a new program Amazon was rolling out to continue their dominance of the ebook and epublishing world – The Kindle Unlimited program linked to KDP Select. Amazon was putting together a significant amount of funds to entice authors to give them exclusive distribution for up to 90 days in order to allow their books to be lend able for free to Kindle Unlimited members. Under this program authors would also be able to give away their book for FREE to anyone for up to 5 days during the 90 day period. Oh joy, so now instead of making at least 9 cents for my book, I’m giving it away? How is that good for the author? Well, once again I reiterate that the goal of any new author is to build up a following. In that sense, KDP is an amazing program. And with hundreds of sites tweeting, posting, and sharing news on free books every day, it is one of the best brand awareness tactics available to the indie author, and…it’s FREE! So don’t be dumb about the power of FREE books, give them away and watch your word of mouth spread. I’ve personally given away thousands of copies of One Blood to date and used 10 FREE KDP days so far and seen nearly 30,000 downloads! That’s 30,000 readers who know me now that may have never known Qwantu Amaru or One Blood existed. 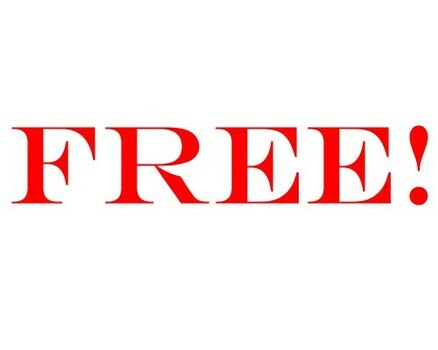 Here are some tips to maximize free promotions via KDP Select. Now that you know how to use FREE to get fans, let’s move on to social media.